A years supply of Klement’s sausage delivered by the racing sausages (I would try to put the 8ft polish sausage in the freezer as well). Your photo on every season ticket holder’s ticket for one game (I can just picture my sh*t eating grin on everyone’s tickets). Slide down Bernie Brewer’s slide (Grant, you can legally try to slide down Bernie’s slide this time). Be a member on the Brewers team at the 2011 MLB Draft (For crying out loud, don’t draft that overweight first basemen, he’s a vegan). Run in the sausage race (I wonder if I could run as a new mascot, the cocktail weenie). Play video games on the scoreboard (I wonder what DK Mode in Bond looks like on a jumbo screen). Tickets to the Wrigley Rooftops to watch a Brewers/Cubs game (perfect seats to piss on piss off unsuspecting Cubs fans). Sign a major league contract for a day complete with full uniform (I wonder if you get a 1 game payout equivalent to 1 game of Cliff Lee’s new salary). Seriously, this promotion is pure marketing genius. A fist bump to Yahoo’s Big League Stew for breaking this story for me. They added a few other ideas for promotions the Brewers may have missed out on, but I have a few to add to the list. Winner receives 100 spray cans of Krylon paint in the shades of Brewers Blue and Yellow to spray paint Wrigley Field’s marquee Blue and Yellow for a Brewers/Cubs game. Complete with complementary food and lodging in Chicago’s city jail. Winner receives an autographed bat from Brewer strikeout legend Jose Hernandez and a plane ticket to Fargo North Dakota to use the bat on Randall Simon’s back. Winner receives pitching session from Jeff Suppan on the fundamentals of becoming the world’s greatest home run derby pitcher. 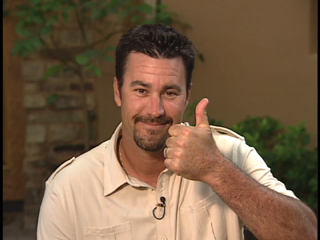 Winner banished to a 10 day session to train Jeff Suppan how to be a major league pitcher by the art of keeping the baseball away from the batter’s hot zone. Winner receives a 1 day consultation from Scott Boras and a guarantee that he will get you a multi-million salary from some employer. Winner receives a visit from Bob Uecker who will announce your every move for an entire week. Get up, Get out of here, It’s time for work. He’s OUTTA bed!!! If anyone from the Brewers’ Marketing Department sees these ideas, I expect 90% of the profit from any used; and there are many more ideas from where those came so just contact my agent Scott Boras. Love all the prizes. Okay, not all. Why would I want to take a tour of the roof control room?